Atmos R2 Review - Power and High Performance Combined! The Atmos R2 is a small dry herb and wax vaporizer pen which is slightly bigger compared to other similar models (such as the Atmos Raw), it has a larger battery and heating chamber – this means longer capacity, more draws, and quality! Moreover, the R2 is not only about size, but also about dry herbs, waxes, and even waxy oils. It is full of surprises! Pros of the Atmos R2. Your dream vaporizer? 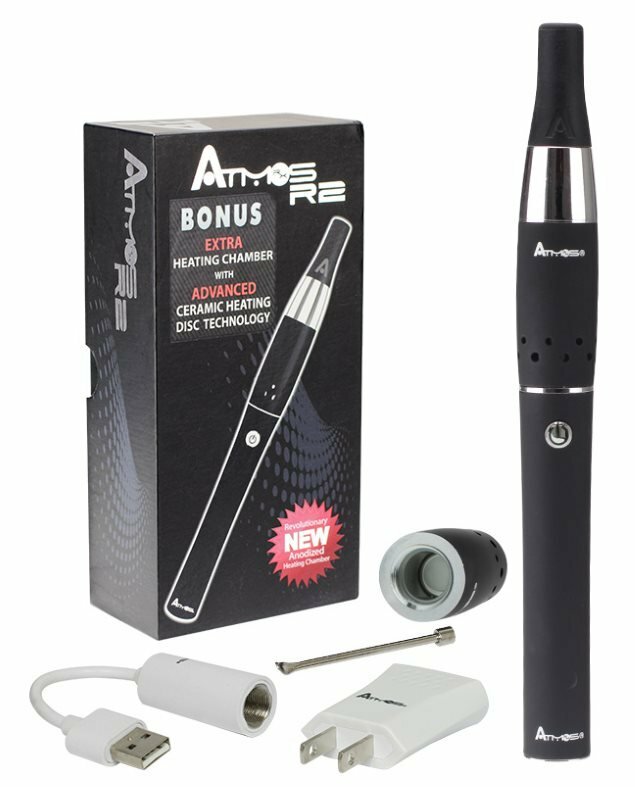 The Atmos R2 offers excellent vapor quality, a longer battery capacity, it has a bigger heating chamber and heats up very quickly, and it is easy to load and to use. 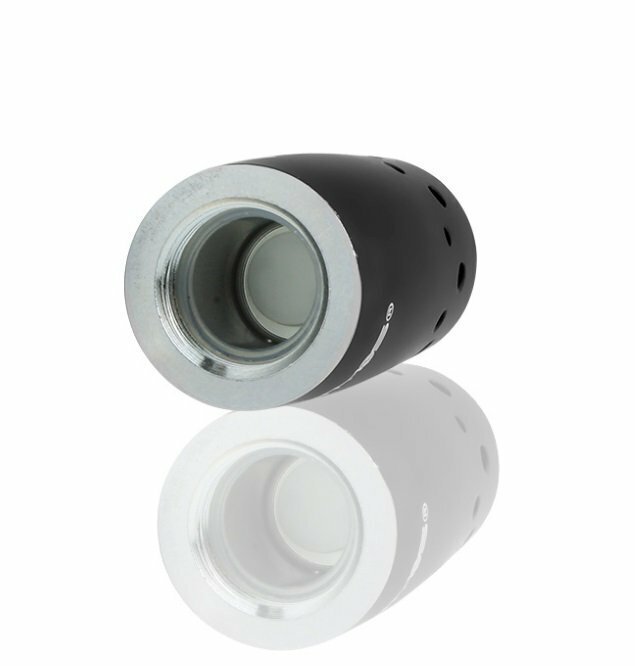 Now, this device combines small size, powerful vapor, taste and flavors, content diversity and easy use. It seems like perfection does exist after all. Not many Cons. 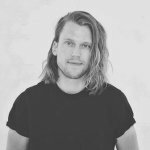 Can it be True? Honestly, we did not find much to complain about; the Atmos R2 combines a lot of convenient features. We pushed it a bit to find what we could, and we figured out that except for the battery light which can get very bright (blue), the high price (over 100 $) and the slightly larger size, there is only one other element that could block someone from buying it. The heating element can get hot with long vaping sessions. The other point is that burning concentrates tend to get the chamber very dirty. How does the Atmos R2 look and feel? We had a good first impression with the Atmos R2. It has a slightly rubbery feel that makes it easy to hold and does not leave fingerprints. The R2 is sleek, light, small and compact, the first element that caught our eyes was the wider chamber and battery. The chamber is only slightly bigger than average, so nothing to worry about in the chamber size department. The battery is large, but not so large to make holding it uncomfortable – it fits smoothly and nicely in hand. The power button has even been redesigned to feel nicer when you touch it. We can appreciate the great attention to detail! The Atmos R2 measures 6.5 inches long. It’s a bit larger and slightly less discreet than other similar vape pens. It has a decent weight and has a rubber mouthpiece, which makes it easy to wash.
R2 is a performer: Once charged, we started with removing the spring from the mouthpiece, before placing one of the glass screen filters inside the heating chamber. This operation prevented the metal mesh filters from touching the heating coil. It is important to remember it. After loading our dried peppermint herbs (we filled in about ⅔ of the capacity but never fully), we placed the mouthpiece on and quickly pressed the button fives times. It turned on the device and started heating the chamber. We held then the power button for about 7 seconds at a time, then released before the automatic shut-off started. Then we quickly pressed it down again and repeated the operation. We did it for 20 to 30 seconds, and the chamber got hot enough. We had an overall decent vapor with quite a rich taste, and the thickness was good, decent sized. We could enjoy a good 3-5 draw with full flavors, so that was not bad at all. The battery is large, so it offered us longer vaping time. Moreover, we noticed that removing the spring from the mouthpiece got us slightly better hits. However, after 10-15 minutes of use, the metal connector to the mouth became hot and started to get uncomfortable. We had to let it cool down for a little while before using it again. Overall, the device is decent, our experience was good, and even though we were not impressed, we still believe that the Atmos R2 can be a good compromise for starters, but not a device we would consider for life. Strong! The R2 is able to boast a large and hot vapor thanks to its heating coil and powerful heating chamber. It rips through any type of herbs inside the chamber without any problem. Adding the large chamber size, the R2 also offers to load more and extend the pleasure. Overall, the Atmos R2 is able to produce thick vapors and gets the job done efficiently. There’s nothing significant we would improve to be honest, except for the price and the size maybe. However, in fairness, they justify the Atmos R2 top performance: it makes sense to pay a higher price for a top device, and the slightly bigger dimensions (size, chamber) offer and guarantee the top flavor, taste, and vapor. Like for the vast majority of vape pens, it takes five clicks to turn on, then holding it down for seven seconds makes it stop hitting. You can avoid this by holding it for six seconds, let go, then press again. Unbox and charge your Atmos R2 battery fully. Screw the heating chamber into the battery part and unscrew the mouthpiece to reveal the heating chamber, and fill in there your concentrates or dry herbs. Add some of the ground herbs or wax on the heating element, without filling the tank too much, to prevent from congestion and impact the ventilation. So the best is to leave a third of the tank capacity, that will leave space for the air to circulate. Press the power button five times to unlock the device. Press and hold the power button to start the heating, and while it starts heating up, you can start drawing. Despite the slightly bigger size, the battery has been redesigned or rather upgraded. It now lasts longer and offers longer vaping sessions. The battery has a capacity of about 20-25 minutes of non-stop vaping. However, it is rarely the case that someone would vape for so long continuously, so the reality is that it will last for hours! The best is to use only a clean cotton swab or cloth for wiping the external and internal parts of the R2. In the ceramic filter, better use a pin or a paperclip to push it within the holes and clear the airways. You should clean the filter with a cloth or swab. Same process to clean the mouthpiece and the heating chamber. They do not provide it in the kit; however, the Atmos cleaning brush is a helpful and efficient tool that you will be able to us with all Atmos vaporizers and heating chambers. It is designed to gently remove all the residue that might build up in the chamber. What do you get when you purchase an Atmos R2? The key feature here is the dual function technology that allows herbs, wax even waxy oils. This miracle is made possible by the chamber’s anodized heating part. A great feature that gets the full and best flavors out of what you choose to vape. We thought it was a really impressive feature. It has a single button with a blue light at the bottom, it lights up when you press, and the blue light means that you are hitting it. We like the fact that it is also available in 4 colors (black, white, gunmetal black, stainless steel), has a year warranty and gets ready to use in about 5 seconds and has a unique operating button ensuring ease of operation. We really liked the pen despite the cons we detailed above. We think no significant point can affect our judgment or turn the vaping experience into a nightmare. The Atmos R2 offers excellent quality and performs from our testing. It is very easy to assemble, it gives great hits and is very sleek. It is much more unique than most of the vaporizer pens in the same category. Overall, we find that it is ideal for beginners but also for the more experienced users. So, go for it! Atmos Optimus 510 Vaporizer: a perfect choice for oil and e-juice enthusiasts, looking for small and powerful device to meet all their needs. Our Cloud Pen 3.0 Review will tell you all the wonders about this unique all-in-one vaporizer, and its ability to offer you amazing vaping experiences. Is it possible to clean heating chamber for for R2 coil chamber, the air holes. Use jewelry loupe to look, and looks impossible. If it can be cleaned, or not I need to know? Going thru learning curve vaping. Thanks in advance. Is it possible to clean heating chamber for for R2 coil chamber, the air holes. Use jewelry loupe to look, and looks impossible. If it can be cleaned, or not I need to know? Going thru learning curve vaping. Just drop the chamber in alcohol for half hour then flush it in water and let it dry.